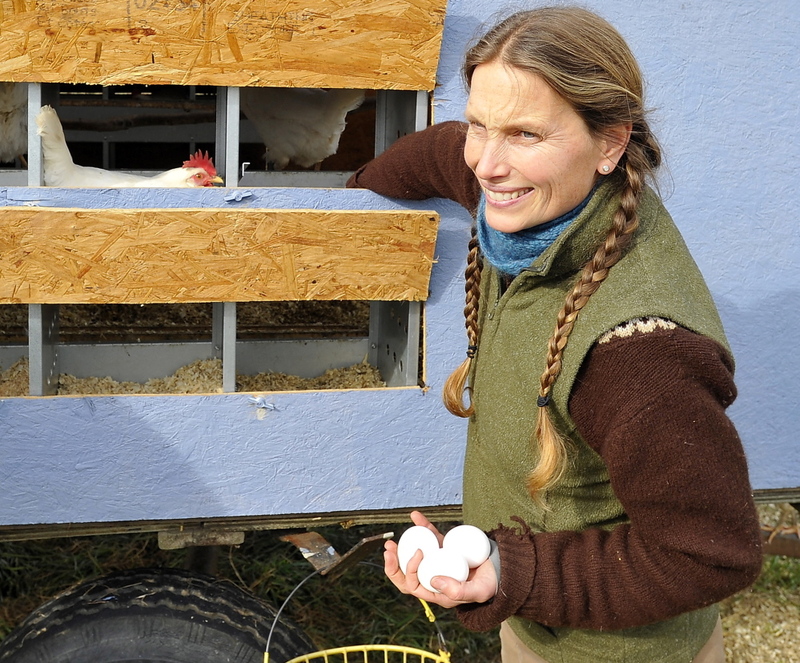 Farmer Laura Grady runs Two Coves Farm in Harpswell with her husband, Joe, their three children (Yvette, 13, Muriel, 11, and Joe Pye, 7). Formerly owned by a longtime Harpswell family, it was known as the Dunning Farm until the Gradys arrived in 2009. They don’t own the place; Two Coves is a Forever Farm, managed by Maine Farmland Trust (a local family that prefers to remain out of the public eye purchased it in 2006 to protect the land). It’s the only commercial farm operating in Harpswell today, but long ago, the neck was jammed with farms, particularly dairies. Source checked in with Grady to talk about her beef cattle, border collies, egg CSAs and the secrets to fishless fish chowder. NAMING RIGHTS: Enter Two Coves, which sits on 88 acres, about 20 of which slope down to Mill Cove and look out over High Head, one of the more fashionable Harpswell addresses (for non-farmers). The fields are green, rolling and lush. “This is beautiful soil,” Grady said. “Incredible, actually.” Behind the farmhouse, circa 1800, is the rest of the land, which looks out on Widgeon Cove. Hence the farm’s name. AND THAT WOULD BE: A little haying, some vegetables and a summer art/farming camp for young children. But mostly the Gradys raise livestock and poultry. They have lambs (favoring a black-faced variety called Clun Forest), a lot of laying hens, some ducks, 18 head of Belted Galloways, a milking cow named Clover (and her offspring), some fine pigs, including some sublimely cute black piglets. Then there are the bunnies for the children, three border collies that Joe Grady shows at fairs around the state and one Maremma crossbreed who watches the chickens with unerring dedication. ON FALL FATIGUE: The farm store is nearly cleared out, but for the eggs (the Gradys run an egg CSA, $50 for 10 dozen, picked up as you need them) and some skeins of yarn. 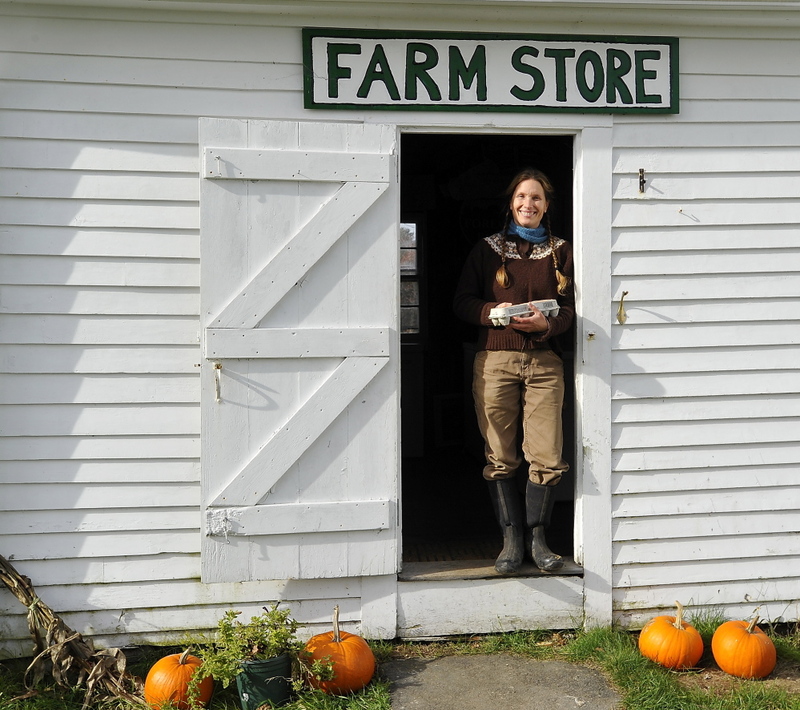 She’ll be at the winter market in Topsham on Fridays, selling eggs, preserves and meats, but it’s time to shut down the store for the season. “When it comes to the end of September I am just about ready to collapse. The days just don’t end. You get up at 5, take care of the kids until 6, then go out and milk and by the time you are done closing in chickens or turkeys or whatever it is, it’s 9. Or 9:30. And God help you if the sheep or cows get out in the middle of the night.” It’s funny though; she looks awfully happy as she’s saying all this.